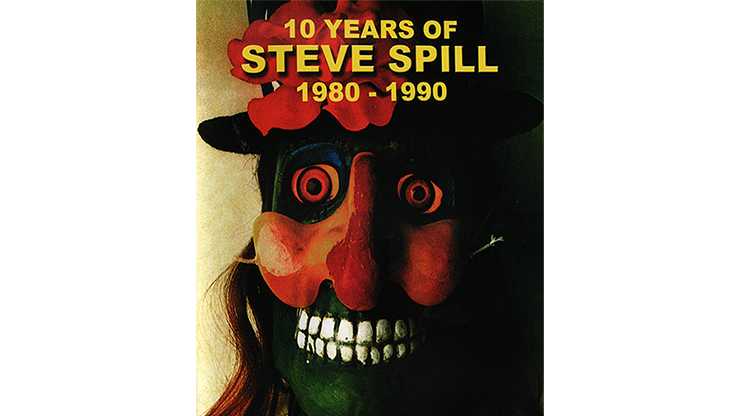 The Best of Steve Spill Video Scrap Book (1987) and Hokum & Hype (1991) Collector's Edition plus previously unavailable footage, all on one video download! Steve Spill is the owner and founder of Magicopolis in Santa Monica. Bonus footage includes appearances by several of the magic industry's biggest players, including Penn and Teller! This video is full of Steve Spill's most popular comedic-magic performances in addition to some exclusive, behind-the-scenes rehearsal footage. Contents Include: Burnt Bunny Internal Alchemy Blood from Stone Grab 'N Stab Rubber Pencil Card in Chicken Frisbee Baby Gag Needles Mindreading Goose Dog in Bottle Voodoo Doll Smashed N Restored Bottle Lemon Trick Eye-Popper Himber Ring Multiplying Pipes Torn-N-Restored Straw Wrapper Boomerang Card Coin in Water Paper Balls Over Head Silhouette Jumbo Color Changing Deck Broken Mirror Cloroxo Haunted Record Player Schwarzenegger Impression Bullet Catch Bonus Feature: The Making of Magicopolis Running time approximately 68 minutes Download the video, sit back and enjoy!